Upendo Shabazz joined Allegany Franciscan Ministries in 2010. She oversees the organization’s ministry in Palm Beach, Martin and St. Lucie Counties. A native Floridian, Upendo has served the Palm Beach County community for many years. She was vice president of Community Impact with United Way of Palm Beach County, and spent six years with the Department of Safe Schools for the Palm Beach County School District. She periodically teaches as Adjunct Professor at Barry University School of Social Work. Upendo has served on United Way of America’s Minority Roundtable Advisory Committee and is a United Wayof America 2009 Global Resident Fellow. Upendo was featured in the Success South Florida Magazine “40 Under 40 Most Influential Black Professionals of 2006”, “Who’s Who in Black South Florida” for 2007 and 2008, and named one of South Florida’s “25 Most Influential & Prominent Black Women in Business” for 2011. Upendo earned both Bachelor and Master degrees in Social Work from Florida State University and is certified in Leadership and Management from University of Miami. She is founding board member for Florida Nonprofit Alliance and Impact the Palm Beaches. 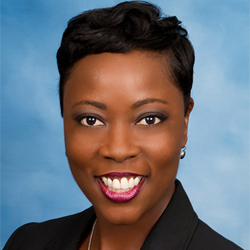 Upendo currently serves on the board of Prime Time Palm Beach County and West Palm Beach Downtown Development Authority. She is a member of the West Palm Beach Chapter of the Links, Leadership Palm Beach County, and the Blue Ridge Leadership Institute. Upendo lives in Lake Worth, FL and enjoys playing tennis and dancing in her free time.